Statement jewellery is a fun way to embellish an outfit without making a huge commitment to a trend. This season, it’s all about animals… especially owls. 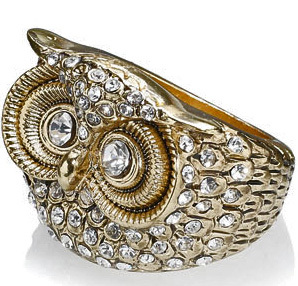 Diamante Owl ring from Accessorize. 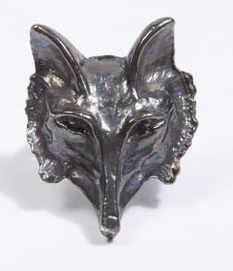 A really great chunky ring, which has a nice weighty look without a heavy feel. 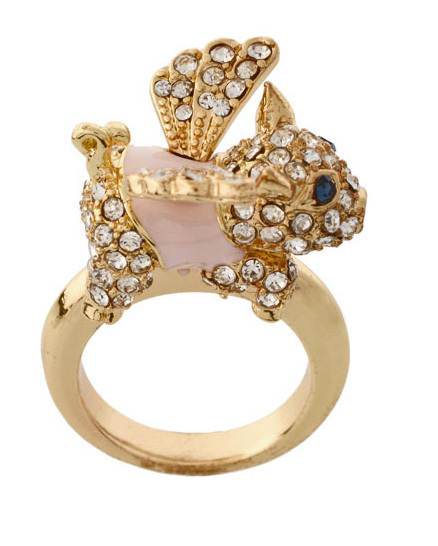 From ASOS, this stone embellishedring flying pig ring on a chunky gold tone band is a bit of a favourite. Another owl, this time from Urban Outfitter. Set simply in plastic, it is available in 3 different colours. 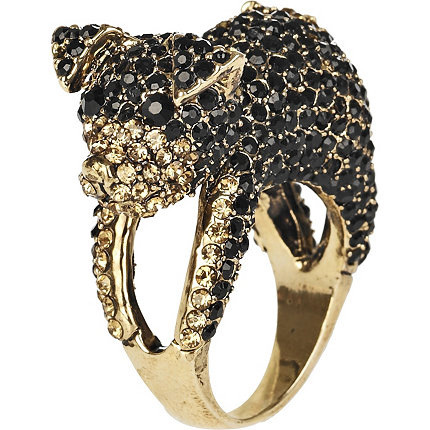 I’m not sure if I love this ring from River Island, or I’m terrified by it. Is is a puppy or a horrid hound? Here’s another scary one. Maybe the word I’m looking for is ‘fierce’? Species by the Thousand @ Urban Outfitters. And lastly. It’s not a ring, but it’s still an owl. All these are beautiful. 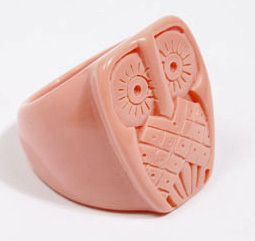 I’m pretty much so obsessed with owls so I’m seriously eyeing up that first ring. Lovely blog:) Thanks for visiting mine earlier. I’m now following via bloglovin.